Cancer Foods as part of a Cancer Fighting Diet – Are there foods that Prevent Cancer? Are there foods that cure cancer? While there are many things a person does not control during the disease process, including how quickly the disease will progress, whether it will respond to treatment, spread or go into remission; there is ONE THING we do control AND that can have a profound effect on how our bodies respond to uncontrolled and ultimately destructive cellular growth that is the hallmark of cancer. We control…..what we eat, breathe and drink. Knowing the cancer foods to consume while you’re under treatment or in remission can significantly improve your odds in fighting cancer …and winning. In some cases, these foods have been found to cure cancer in specific lab experiments and, if not cure cancer, slow or prevent its growth and spread or those of the blood vessels that supply the cancer. These same anti-cancer foods can also play a role in preventing cancer. This points to their inclusion in a cancer fighting diet. Regardless of whether you have cancer or not, the below foods should have a regular invitation to your dinner table as part of a healthy balanced diet. Press here to read more about foods to prevent cancer. Press here to read more about cancer and nutrition generally and the profound relationship that cancer foods and foods that help cure cancer or prevent it can have on the disease. Press here for specifics about foods that cure cancer as well as diets that help fight it. Below is a list of Cancer Foods that researchers have found fight cancer on different levels. Include liberally and regularly in your diet. 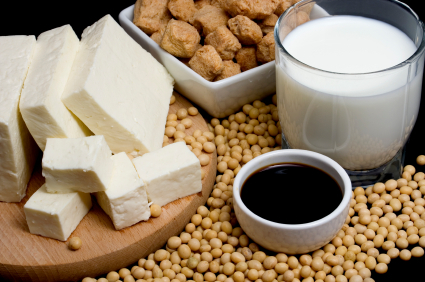 Cancer Foods #1 – Soy Beans and soy products including tofu, tempeh, miso, soya sauce (tamari) as well as other legumes (beans, lentils and peas). Soy appears to be a powerful anti-cancer food working on several fronts to prevent and defeat cancer. Despite some laboratory experiments that show certain soya bean extracts promoting cancer growth, time and again epidemiological studies support a link between high intake of traditional soya foods and reduced risk of several cancers including breast and prostate. As a weak phytoestrogen, soya foods appear to lower circulating estradiol, an estrogen which promotes growth of most breast cancers as well as other estrogen sensitive cancers; the soy isoflavone genistein appears to block growth of blood vessels that enable tumor growth. Don’t forget other legumes in your diet including beans and lentils. They too have some of the same phytoestrogen properties as soy. Like soy, many beans are chockablock with lectins, phytates, phytosterols, saponins and phenolic compounds that inhibit cancer growth, and/or are variously anti-carcinogenic, anti-inflammatory, DNA protective and anti-metastatic. Beans including soy are a superb source of high quality non-animal protein, especially important when reducing the amount of animal foods in your diet – advisable when trying to achieve a cancer preventive diet or a cancer fighting diet. Good dietary forms of soy are tofu, tempeh, miso and soy sauce (tamari). Cooked garbanzo beans, red beans, pinto beans, navy beans and lima beans as well as lentils and peas can all be added to soups and sauces or topped on salads for a delicious anti-cancer nutrient-dense wallop. Try making hummus or patés using garbanzo beans and other beans and legumes. Spread on sandwiches along with other fixings including raw or grilled vegetables. Lentils make an appearance in many ethnic traditions including India, Italian soups and sauces, and French country cooking. Use cold dhal as a spread for sandwiches instead of butter or mayo. Add red lentils to thicken soups and sauces when you seek a creamy consistency. Lentils require no presoaking and minimal cooking time. While presoaking and cooking dry beans is the cheapest option, keep canned beans on hand for something nutrient-dense and quick to throw on salads or incorporate in a dish. Remember to rinse and drain canned beans well to remove excess salt. I used to dislike tofu (bland and blah!) when I prepared it myself, until I learned some tips to transform tofu and tempeh from “blah” to “ahh”. For best results, marinate firm tofu or tempeh in strongly flavored marinades for at least an hour before heating or adding to other foods. Make sure your marinade includes cancer protective olive oil, fresh citrus juice and their zests, tamari (a tasty form of soya sauce), fragrant sesame oil, minced garlic, onions and/or ginger. Chiles, mustards and Worcester sauce can also add zip. The soy will absorb the flavors and taste wow when combined in vegetable stirs fries, casseroles or incorporated in vegetable or salad dishes. Cancer Foods #2 - Tomatoes – especially tomatoes heated in oil, contain the anti-cancer flavonoid lycopene which researchers theorize is one reason why tomatoes are a powerful cancer food for lowering prostate cancer risk, preventing prostate cancer metastases, and reducing the size of prostate tumors. 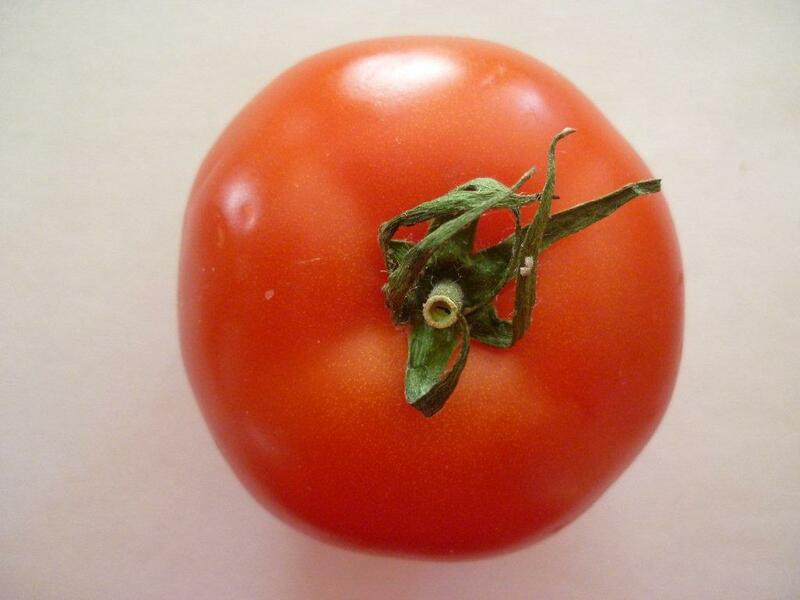 Lab experiments have demonstrated that lycopene kills lung cancer cells. Tomatoes contain other cancer fighting nutrients including Vitamin A and Vitamin C as well as coumeric and chlorogenic acid which has been found to have anti-cancer effect , specifically blocking the effect of some carcinogens. Order pizza – minimize the cheese but go heavy on the tomato based sauce to boost your cancer fighting lycopene intake. Keep slow roasted tomatoes on hand to cut and sprinkle on salads and in sauces: prepare by halving small Roma tomatoes and placing face up on a roasting tray covered with baking paper. Mix sea salt and castor sugar and sprinkle on top of each halved tomato. Heat at 150° C/300° F for an hour or until dried to your taste. Store in sealed container after drizzling with olive oil. These flavor filled roasted tomatoes will last a week in the fridge depending on how roasted. Incorporate excess tomatoes into home-made tomato sauce cooked with an abundance of sautéed onion and garlic along with plenty of carotenoid-rich grated carrot, squash, celery, spinach, cilantro, parsley and any other brightly colored veg you have on hand. Add tomato paste to thicken; add red wine and water to thin. Depending on how chunky you like your sauce, use a hand held blender to purée some or all and keep on hand for spaghetti sauces, pizzas and other uses. Pour on the ketchup but hold the fries or chips! Cancer Foods #3 – Berries and Stone Fruits – blackberries, blueberries, cranberries, raspberries and strawberries as well as Chilean berries (myrteola nummularia) contain anti-cancer phytochemicals that variously inhibit inflammation and oxidation; protect DNA from damage; slow cancer growth; or promote cancer cell death in oral, breast, prostate and colon cancer among others. 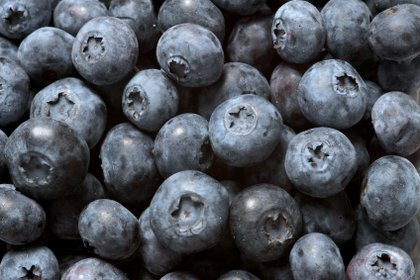 Berries are definitely foods that should play a part in your cancer prevention and cancer fighting diet. Use fresh or frozen berries in smoothies and sprinkle fresh berries on savory salads with a citrus vinaigrette. In winter when fresh aren’t available, buy flash frozen berries and serve sprinkled frozen on plain yogurt or puréed soft tofu or plain soy yogurt. If cost is an issue, remember stone fruits like nectarine, plums and their dried cousins are chockablock with many of the same anti-cancer nutrients as berries. Use in combination or in place of berries. Cancer Foods #4 – Mushrooms can lower estrogen conversion, an important anti-cancer strategy especially when it comes to the majority of breast cancers, which are estrogen driven. Aromatase is an enzyme that converts androgen to estrogen and is in high concentration in breast cancer tumors. Mushrooms as well as grapes can be useful aromatase inhibitors – a good thing when it comes to slowing the growth of breast cancer and other estrogen driven cancers like ovarian cancer. Japanese studies have found that components of Shiitake mushroomscalled glucans improve the outcomes of chemotherapy for gastric cancer patients. Maitake mushrooms (grifola frondosa) have been found to induce death of breast cancer cells in the lab and in rats. The Brazilian mushroom Cogumelo do Sol [agaricus blazie murrill (ABM)] is used extensively in Japan for various conditions including cancer because of its anti-tumor and anti-mutagenic properties. There is some evidence that it combats thyroid cancer cells. 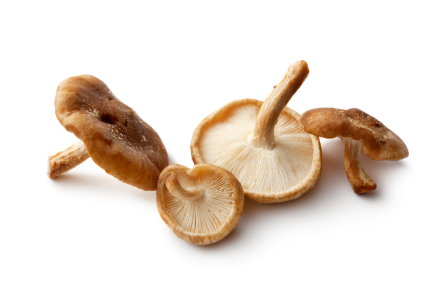 Press here to read more about ABM mushrooms’ scientific potential as a cancer food. Reishi mushrooms (Ganoderma lucidum) have a long tradition as a cancer food in Asia. Researchers suggest it may enhance immune function during cancer treatment as well as improve effects of chemotherapy and radiation treatment. Press here to read more about Reishi mushroom’s cancer fighting potential. I used dried mushrooms extensively in soups and sauces to add unsurpassable flavor. Reconstitute by snipping dried mushrooms and reconstituting in a half cup of boiled water for five minutes before adding to the pot. Serve mushrooms as the English do sautéed at breakfast alongside eggs and on toast. Add mushrooms, whether dried or the fresh, into that homemade tomato sauce. Cancer Foods #5 - Spices including turmeric, rosemary, thyme and ginger – These spices and flavorings are good anti-cancer ingredients to keep on hand. Turmeric used extensively in Indian cooking contains curcumin a substance found to have anti-inflammatory and anti-cancer properties including preventing DNA damage, cancer cell replication, metastases and promoting cancer cell death , among other anti-cancer effects. Turmeric is a foundational nutrient in Ayurvedic Medicine. Rosemary and its oils contain anti-cancer polyphenols linked to anti-inflammatory activity as well as cancer cell death. Ginger – as well as being a food useful in preventing nausea during chemotherapy has been found in lab studies to inhibit prostate cancer cell division. Use herbs liberally in salad dressings, dips and marinades. Turmeric has a slightly bitter taste which is masked when combined with other spices as in curries or with naturally sweet fruits including agave. It is ideal to incorporate in soups and sauces. Turmeric’s health benefits are enhanced when heated with oil, pepper and ginger so make sure you heat before eating. Fresh rosemary is aromatic and goes beautifully with sweet dishes such as cut fruit as well as savory egg and meat. Infuse olive oil or vinegar with a sprig of fresh rosemary for several days to make rosemary oil or vinegar. Incorporate ginger into your homemade salad dressings, dips and sauces by grating with a zester. In my experience the finer grating surface works best. Peel garlic with a paring knife prior to grating. Cancer Foods #6 – Brightly colored vegetables including bright orange, yellow, red and green kinds including carrots, sweet peppers, spinach and kale are rich in a range of carotenoids and other cancer protective nutrients including anti-oxidant vitamins and minerals. A 2012 study that women with higher circulating blood levels of carotenoids including beta carotene, lutein, lycopene and zeaxanthin had a reduced risk of breast cancer. Be cautious about taking beta carotene supplements if you smoke. Some studies have found an increase in lung cancer among male smokers who supplemented beta carotene alone. No link has been found between increased lung cancer risk and high beta-carotene from diet. In fact one study suggested that those higher blood levels of carotenoids from diet are, if anything, cancer protective. Avocados have been found to increase absorption and nutrient effectiveness of carotenoids including beta carotene, lycopene and lutein, so …. … Serve guacamole dip with chopped carrots, red pepper, broccoli and other fresh veg. Grated carrots and chopped spinach and other veg prepared similarly are great to add to sauces, lasagnas, casseroles and other dishes including meat and dairy to enhance the veg content of a dish without fanfare. This subterfuge is wise when it comes to pleasing veg adverse little eaters or even older ones who say no to veg! When constructing salads aim for as many shades of color as possible – each vegetable color generally represent different health giving anti-cancer phytochemicals. Peel and cube an assortment of sweet potatoes, beats and/or squash and toss with olive oil, se salt and 4 to 6 cloves chopped fresh garlic. Spread veg evenly in one layer on roasting pan lined with a baking sheet. Roast for 1 hour or more at 150° C (340° F). Add crushed fresh rosemary the last 20 minutes of roasting. Once cool, store in sealed container in fridge and sprinkle on salads as needed. A retrospective epidemiological study of 521,457 Europeans (The European Prospective Investigation into cancer and nutrition EPIC) found that regular intake of vegetables along with foods of the allium family including garlic and onion were linked with lower incidence of intestinal cancers but not other cancers. Other epidemiological studies have found a significantly lower rate of oral, larynx and esophageal cancers and a somewhat reduced risk of colorectal, prostate, kidney and breast cancers among those with a high intake of foods from the allium family. 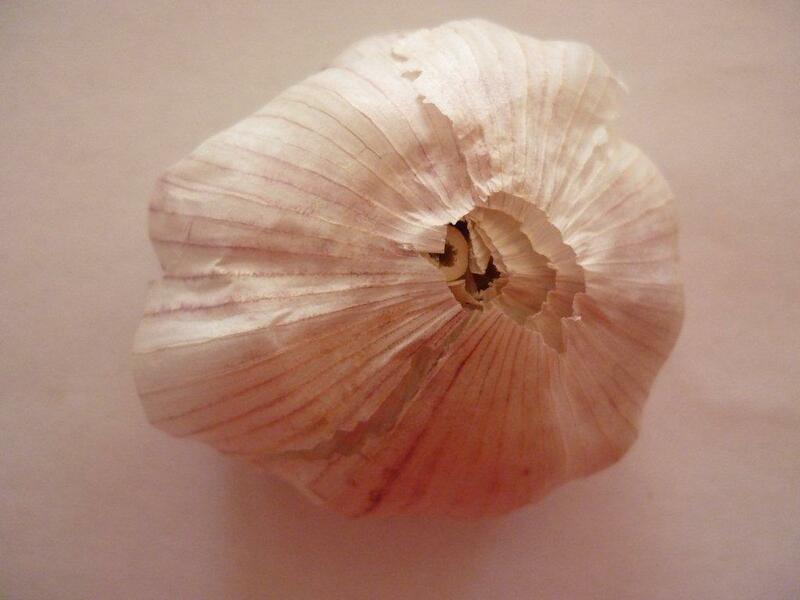 Regardless of the effects of onions and garlic on the risk of specific cancers, garlic, onions and other allium family member have an anti-inflammatory and immune system enhancing effect which can be an important part of any cancer fighting and prevention action plan. Foods from the allium family have been found to have anti-inflammatory effect which is a key risk factor for cancer. Onions have been linked with death of prostate cancer cells. Make slow roasted garlic spread for sandwiches, pizzas and sauces by placing whole peeled garlic cloves in covered Pyrex or porcelain baking dish in oven at 150° C (300° F) sprinkled liberally with sea salt and coated with olive oil. In an hour or so, you will have soft sweet garlic that you can purée with a hand held blender when cool. Store garlic paste in sealed container in fridge and use liberally on sandwiches, pizza bases and in dips or salad dressings. Roast small whole onions or onion chunks in oven after coating with olive oil, rosemary and sea salt. When was the last time you had French onion soup? Extend your allium repertoire and buy leaks - a staple in French cooking. They are great sautéed and used in vichyssoise (cold leak and potato soup), a quiche, or with other egg dishes or added raw to a salad for a tart zippy. Red Onion is a sweet and colorful alternative to other onion varieties. White Vidalia onions are also a mild alternative to yellow onions. Cancer Foods #8 - Green Tea – is catechin rich and thought to be a powerful anti-cancer nutrient. Epidemiological studies point to a reduced cancer risk among populations who consume green tea. Three to four cups a day is thought to have a cancer fighting effect. Lab experiments have confirmed green tea’s antioxidant and anti-cancer properties. These include preventing angiogenesis and killing cancer cells, making catechin rich green tea a candidate for foods that cure cancer, along with traditional soy foods. Combine green tea with other teas whose flavors you prefer. When drinking or using green tea in cooking make sure you consume it shortly after steeping as it purportedly loses some of its potency after 15 minutes or so. Cancer Foods #9 - Cruciferous Veg – which include broccoli, cabbage, brussel sprouts, horseradish, watercress, bok choy, tatsoi, cauliflower, arugula (rocket) and kale are linked with a lower incidence of colorectal cancer according to a 2012 meta-analysis published in the Annals of Oncology. Isothiocyanates found in cruciferous vegetables have been found to combat growth in prostate cancer cells. Cruciferous veg are also good sources of complimentary anti-cancer nutrients like magnesium, selenium and Vitamin C. Together, these enhance the crucifores’ function as effective cancer foods that should be a part of any cancer prevention and cancer fighting diet. Kale, as well as being a star cruciferous veg, is a grand vegetable chockablock with health giving nutrients like magnesium. Depending on the variety of kale, you can eat it raw or incorporate in soups or stir fries after gentle heating or stirfrying. It is a robustly flavored vegetable and, for that reason, goes well with ginger and garlic so use spice liberally when preparing. Raw broccoli and cauliflower florets are great crucifore veg for dipping and adding to salads. Spicy tofu or free range chicken marinated with garlic and ginger are great served on a bed of fresh arugula or water cress. Make a colorful slaw combining red and green cabbages and a zappy dressing of soy sauce, sesame and flax oils and apple cider or balsamic vinegar. Add raisins plumped in hot water for a few minutes for sweetness. Cancer Foods #10 –Seeds and nuts and their cold pressed oils – are full of essential fatty acid, phytoestrogens and lignans. Many contain anti-cancer and anti- inflammatory nutrients including phytosterols and micro-minerals like selenium and Omega 3 essential fatty acids like alpha-linolenic acid (ALA). Walnut extracts have been found in a 2012 to decrease the replication of breast cancer cells as well as to inhibit angiogenesis and colorectal cancer in the lab. Brazil nuts are one of the best food sources of selenium, a mineral known for its anti-oxidant properties. It may be for this reason that areas with high selenium in the soil have lower cancer rates including for lung, esophageal, bladder, breast, colon and rectal, pancreatic, ovarian, and cervical cancer, as well as for total cancer deaths. By contrast, studies involving selenium supplements have been contradictory regarding reducing cancer rates. Some studies have shown a slight increase for cancer markers with selenium supplements. This suggests that diet may be the best way to obtain your selenium. Six to seven Brazil nuts give a whopping 544 mcg more than 777% of the US government’s Daily Value. Flax and sesame seed and their lignans have been found to function as phytoestrogens and slow the growth of human breast cancer cells. Sesame seed lignans increased cancer cell death. A 2012 German study of several thousand postmenopausal women in German found a significant reduction in breast cancer risk among those who consumed a high level of soybean and pumpkin and sunflower seeds. Press here for more on the health benefits of nuts and seed including as cancer foods. Keep a bottle of cold pressed flax oil or pumpkin oil in the fridge and drizzle on salads and grilled veg. Use high quality extra virgin olive oil ideally with the health giving lignans. Make seed mix of 1/2 part flax seeds and 1/6 each untoasted sesame, pumpkin and sunflower seeds and grind fresh when needed on salads or in soups or smoothies. Keep unground seed mix in sealed jar in fridge. Chop or grind raw nuts and seeds and sprinkle in salads, sauces, casseroles and in baking. Make pesto using pine nuts or walnuts or combinations of other nuts like brazil, almond and macadamia. Use bunches of basil or cilantro for your green component and remember - a load of chopped garlic, parmesan cheese and olive oil before you blend. Press here to read about how to make sure your nuts and oils remain healthy and fresh under Benefits of Omega 3. The idea that when sick you have to forego good tasting food for bland pap is false. You have cancer not a disease of the taste buds. Exquisite tasting and artfully prepared food can be a part of your road to wellness, whether you’re fighting cancer or trying to avoid it. Indeed, as this article on Cancer Foods confirms, your plate should be full of whole plant foods, prepared with a multitude of health giving and delicious spices and flavors. Press here to read more about Cancer and Nutrition. Press here to read more about Cancer Fighting Diets. Press here for more on Cancer Prevention Diets. Press here for info about a Breast Cancer Diet. Press here for info about a Lung Cancer Diet. Press here for Anti-cancer Barbecue Tips. Press here to read more about the importance of healthy oils and fats and the Benefits of Omega 3. Press here to read more about the benefits including the anti-cancer properties of an Anti-inflammatory Diet. Press here to read more about what Inflammatory Foods you should avoid when you have cancer or wish to prevent it. Press here to read more about the Benefits of Vitamin C and the importance of anti-oxidants in your diet as part of an anti-cancer strategy. For more on the benefits of calcium, benefits of magnesium and benefits of zinc and how enough is essential for good health including cancer prevention.